According to Tom Colicchio, there was a time when small towns in France each had a central bakery. The story goes that after the bread was done baking, the townsfolk would use the still-hot oven to roast their own food. Meats would be placed on an upper rack and potatoes would be placed below, allowing the drippings from the meat to season them. 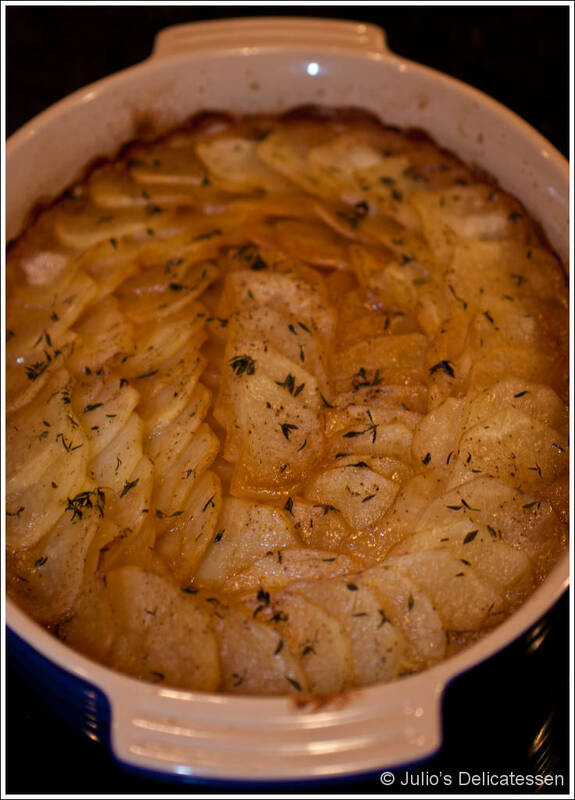 This dish is designed to replicate that effect by adding bacon and rich chicken stock to flavor the potatoes. Preheat oven to 325. 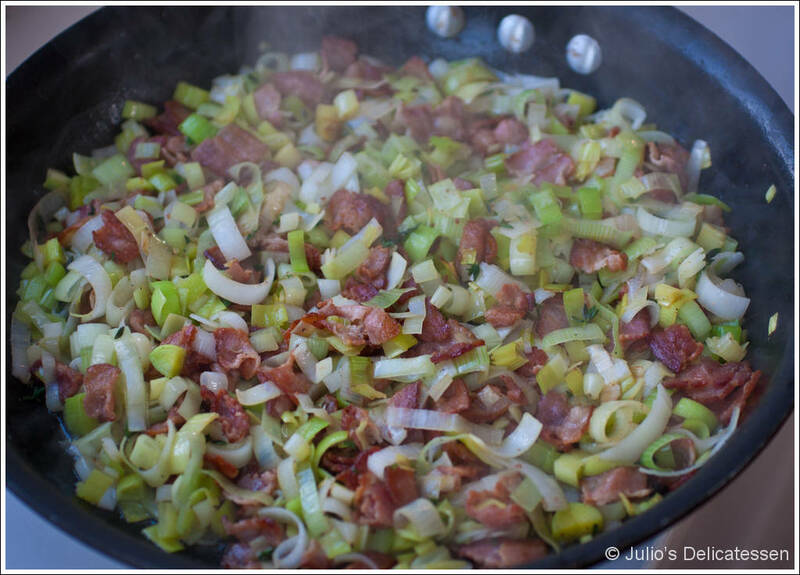 Cook the bacon in a large skillet over medium heat for about 10 minutes, stirring occasionally. 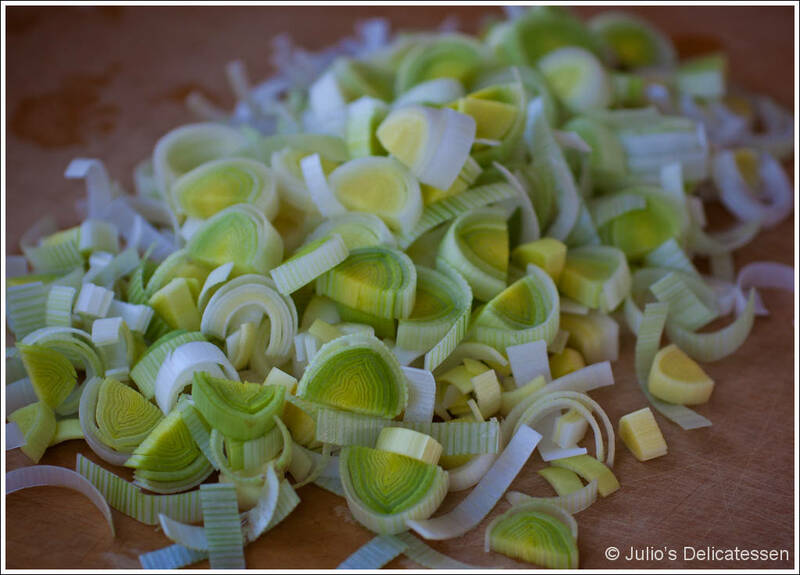 Add the leeks, salt, pepper, and one Tb of the thyme leaves. Continue cooking for another 10 minutes or so. 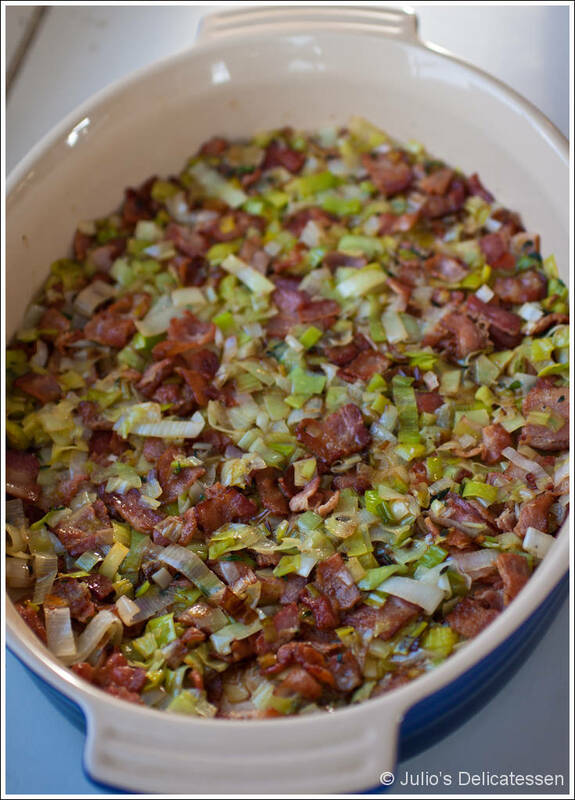 Scrape the bacon-leek mixture into the bottom of a baking dish. Slice the potatoes (again, without rinsing them first – you want all the potato starch you can get) and arrange them in slightly overlapping rows over the leeks. 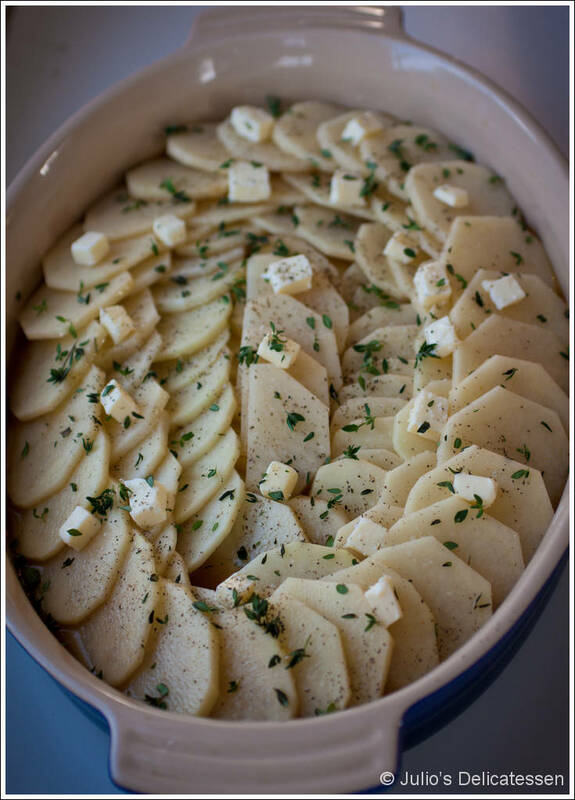 Pour the stock over the potatoes, then dot with the butter and the remaining thyme. Season with salt and pepper. Cover tightly with foil and bake for 1 hour. Remove the foil and bake another 45 minutes or so, until the potatoes are done and the edges are brown and slightly crispy. If you view another video or read a relevant blog, add useful comments. You also need insurance if you are going to borrow a car from someone else.